We the people. We the problem. If you want rock star status. If you want accolades. In Christianity you only need to throw “religion” under the bus, or its close cousin fundamentalism. (Ironically, I’ll be posting about fundamentalism this week.) We love to bash religion. Sometimes we couch this as arguing against “false” religion. Sigh. We need to stop it. 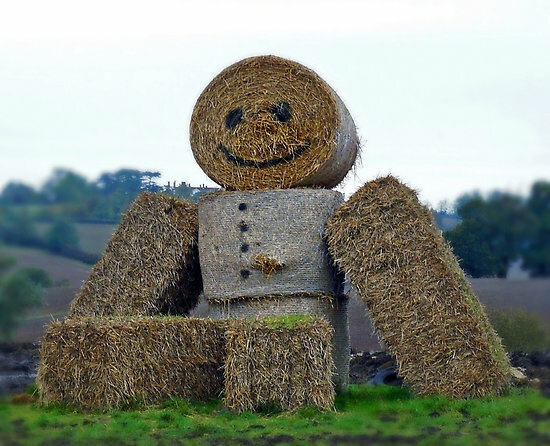 Today’s favorite mode of discourse is the strawman. We hide, we couch, we equate, we consensus build, we allude. We don’t call things for what they are. Doing such is often viewed as mean or unloving. More to the point, we’re afraid we may be called worse than religious we’d be called fundamentalist. What do we do? We couch a real issue of right & wrong under a word and we attack that vague concept. How nobel of us. We love Jesus because the love word is attached to him. I’m reminded of what a professor once said: “People say Jesus is a loving lamb, but one day they will be surprised when the lamb roars.” Jesus called out what was right and what was wrong. He did it graciously, with humor, and at times direct and in your face. Jesus, and John (remember that guy who’s task was to get people ready for Jesus) called people to repent. Jesus pointed, exhorted, taught and pleaded with people to connect with God the Father. Jesus loves the church. Jesus died for the church. Jesus’ bride is the church. There are legalistic churches that need to repent, doctrinally inept churches that need to repent, non serving churches that need to repent, etc. We need to remember, Jesus loves the church. Our tone in critiquing the church or local churches could use refinement. Every church has issues. It’s time to spur one another on to good deeds, and let the Holy Spirit be the Holy Spirit. Religion isn’t the problem. We the people are the problem. Religion is made of people like you and I. Now comes the fun topic: Friends, we are depraved. Apart from grace and the Spirit’s work in our lives, we’re in trouble. Am I saying there is a lack of grace and a lack of leaning on the Spirit today? Yes. Religion started no war, people did. Blaming religion is like blaming guns for killing people. Both are only as good as the people behind them. Thanks for your thoughts. Especially on strawmen. I have seen way to much of that lately. A related problem is overstating the case. I have read so many articles where the author had a good point, but so overstated his case that he actually made as much of an error as the one he was trying to correct.